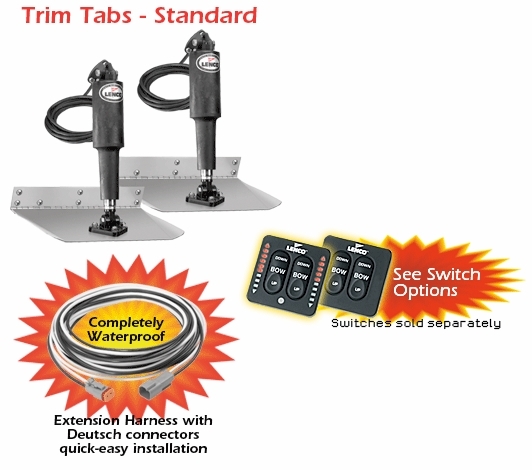 Trim tabs make the single most important difference in the way your boat rides and performs. They are optional on some boats but should be as standard as power trim and tilt. 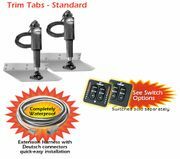 Lenco trim tabs make your boat ride smoother, drier, faster and with increased safety whether on a small skiff or a mega-yacht. Lenco•À_s ballscrew design is more reliable, three times more powerful and features an instant response, which makes them very user friendly compared to typical hydraulics. We also like being oil-free and environmentally conscious.